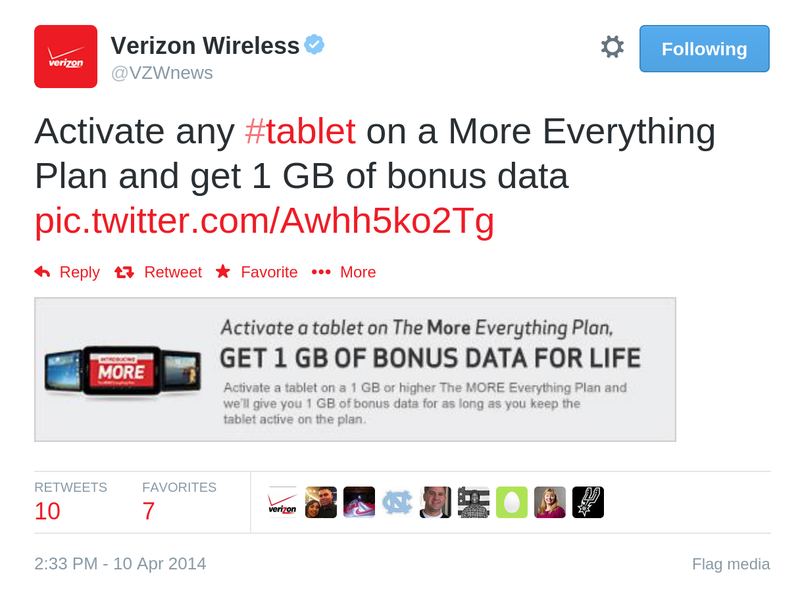 Verizon’s crusade to get you to give up your existing data plan for its More Everything shared plans continues with a new deal, promoted today through its official Twitter account. If you have a tablet that can be activated on a wireless network, plus are currently on a More Everything plan, Verizon has the perfect combination waiting for you. The newest promotion gives customers an extra 1GB of usable data for the life of the account, if you activate a tablet on your More Everything plan. The only caveat, other than paying the extra line to keep your tablet’s connection active, is that your existing plan must already have a data bucket larger than 1GB. Any readers planning on upgrading their data pool with this deal?